At what point should you consider furnace replacement over repair? For most homeowners, a furnace replacement is one of the unexpected big jobs that usually come at the worst time. If the temperature drops and the furnace won’t kick on, that’s a frustrating and potentially expensive problem to have. But what about the small repairs that often lead up to furnace replacement? How will you know when it’s time to replace a furnace that has started acting up so regularly that it feels like your HVAC guy is now part of the family? This post looks at three of the most common furnace problems that signal its time for a new unit. When does the cost of replacement trump the rigors of repairing an old unit? What signs should you look for to help you make this big decision? The first question that determines whether you should consider replacing your furnace is both simple and complex: How old is your furnace? 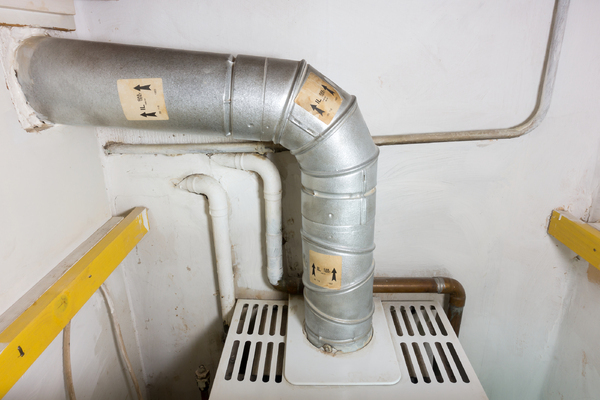 Modern furnaces can last anywhere from eight to 15 years. The problem is that the units decline in efficiency as they age. However, that’s only partially because the equipment isn’t functioning at top performance. The other issue is that furnaces have improved over the years, and older units use more energy than newer units. HVAC contractors often replace non-Energy Star rated furnaces with newer models, which not only are better for the environment, they help the homeowners save big money on their heating costs. In the long run, a furnace replacement will provide cost savings. New furnace units are much more efficient than older equipment. The furnace is cycling constantly. The humidity levels in your home aren’t comfortable. The furnace is rattling, humming, or making other strange noises. You notice more dust and dirt in the air. The furnace is rusty or cracking. Electric ignition issues that cause the pilot to go out and not stay lit. This could signal a costly repair of a thermocouple or some sort of clog in the appliance. Replacing any of the unit’s motors will be an expensive repair. There’s the blower motor, which is a critical component for pushing hot air into your home, the furnace motor, the inducer fan motor – you get the picture. The control board is the central operating unit of the furnace. It controls the ignition, the gas valve, and the heater thermocouple. As you might imagine, this is a big repair. Home Alliance specializes in connecting homeowners with qualified HVAC contractors. If your furnace isn’t functioning well, contact us for a free estimate and 5% off repairs from one of our expert furnace repair companies. Furnace replacement includes free maintenance for the first year.